Happy Earth Day! I know this is the one official day the world celebrates the planet, but around here we’ve been celebrating all month long. So far, we’ve dedicated a week each to wildlife and oceans. This week: Forests. If I had to pick a place in nature where I feel most at peace, it is among the trees. When I head to the forest and am surrounded by them, I feel at home. I am in awe of their strength, beauty and constancy. So it just made sense to mark Earth Day by paying homage to the trees. Because thankfully, The Explorers have taking a liking to them, too. 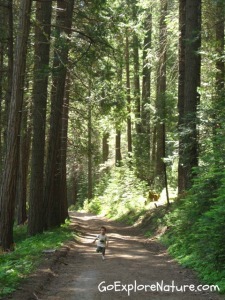 Here are 10 of our favorite ways to play among the trees. Can you see the top of the tree? How about the sky? Do you see any wildlife (or signs of wildlife)? A fallen tree makes the perfect balance beam. 4. Ride a magic creature. Trees can turn into all kinds of imaginary critters (like dragons! 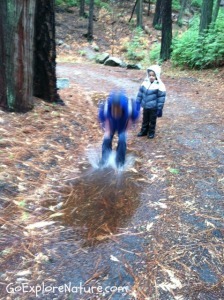 ), capable of letting little explorers take flight. 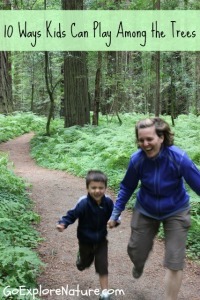 If you’ve got a little room, let your young explorer “race” down a stretch of trail. 6. Become a tree detective. 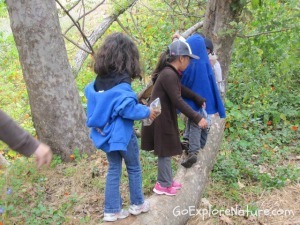 Aspiring scientists will enjoy looking closely at tree bark and leaves to try identifying favorite trees. 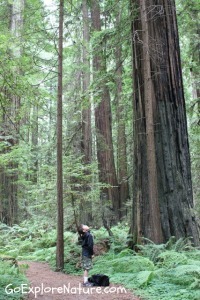 Or counting rings to determine a tree’s age. 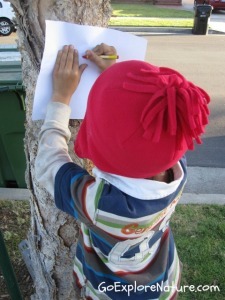 Make bark rubbings, leaf rubbings or crushed leaf mosaics. 8. See how you measure up. 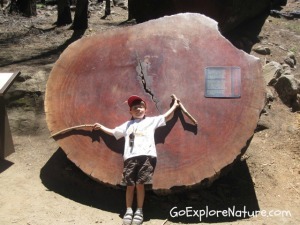 Just how big are the trees you’re exploring? Can you get your arms around them or even hide in them? Don’t be afraid to let yourself feel small. 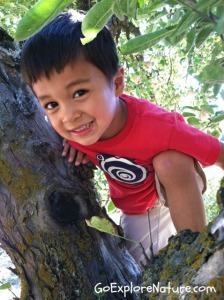 Look for one with low hanging branches to make climbing easier for little legs. Do your arms make it all the way around the tree? How does it feel? Smell? 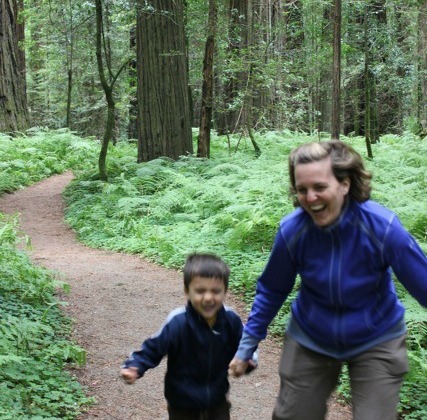 Your turn: How do your kids like to play among the trees? Love your work, Caroline. Thanks so much for stopping by! Too funny – my hubby is a total seashore guy, too. Hope you had a wonderful Earth Day! Awww … thanks, Christy! 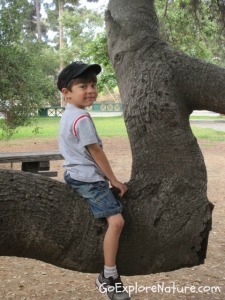 I like that kids can climb trees no matter where they live, even in the city. Life certainly gets busier and more complicated as the kids get older. I hope we will continue to find moments like these as they grow. Happy Earth Day! I am right there with you, Debi–I am definitely a forest type, while my husband is a seashore type. I need trees to feel grounded and at peace. 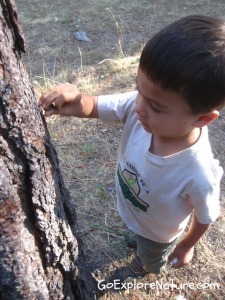 Lovely photos of the woods, and we need to try some bark rubbings! 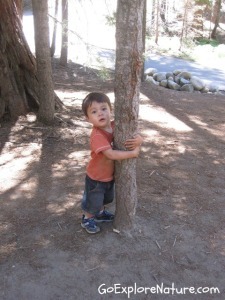 Hands down my kids&#39; favourite way way to play among the trees is to climb them. I just like being present with trees. <br /><br />I love the pictures of your boys – they are cuties! What a fun time with trees! I too feel at home and at peace among the trees. Wonderful fun ideas! Sometimes I wish my kiddo was smaller <br />:(. It was so much easier to find time to do these things before they got big. Thanks for the inspiration on Earth Day today!